You must make reservations at least 5 minutes in advance of the time at Red Rocks Cafe - Charlotte. When entering Strawberry Hills, be sure to take the first right into the market. Drive around the market continuing to veer toward your left until you come upon Red Rocks Cafe. Excellent parking in our lot. Large Private Dining Room for up to 100 people. We accommodate large parties without much fuss; at a better value than most people in our markets. We offer several “private dining” rooms (areas) and menus to accommodate a diverse range of groups with a broad mix of dining options. Red Rocks Café is a locally owned and operated, unique American Restaurant. We have operated in the greater Charlotte, NC area since 1992. We currently operate two units. The Original Red Rocks is in the Foxcroft area of Charlotte at the Strawberry Hill Shopping Center, and the newer unit, opened in 2003 is at Birkdale Village in Huntersville, NC. We offer a very diverse menu of appetizers, salads, pasta, steaks, seafood, chicken, and sandwiches. 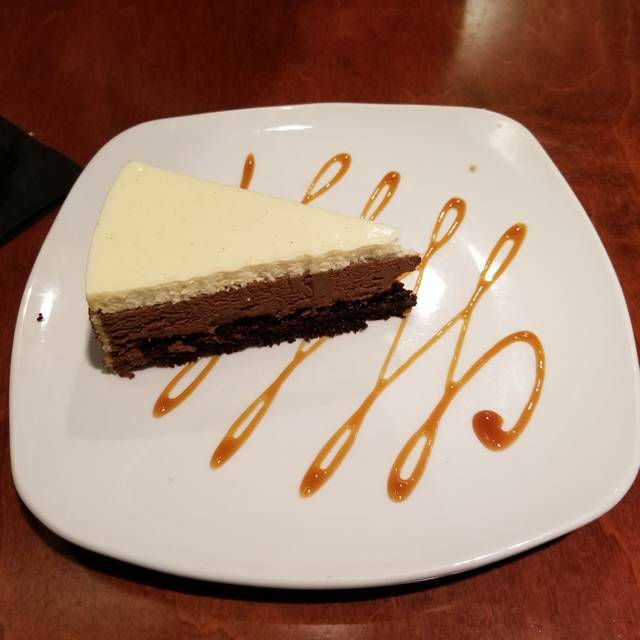 Our wine and dessert offerings are world class. We are unique in that we have something for everyone. No one is excluded due to price or category of food. 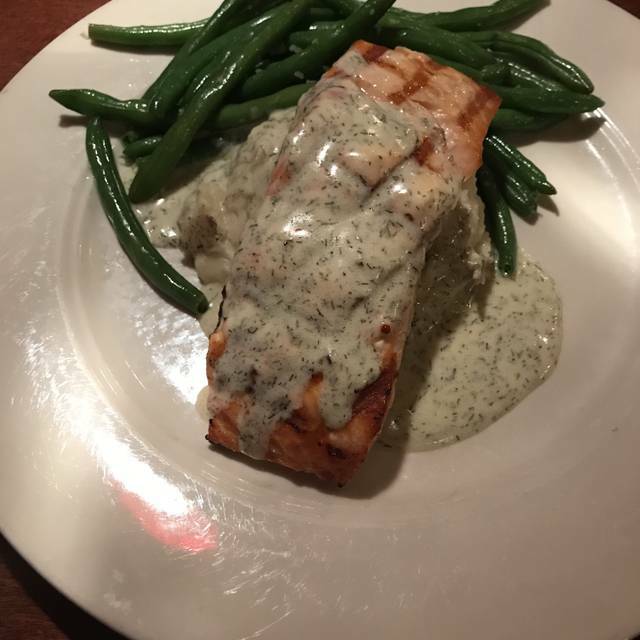 At Red Rocks you can choose to “eat” or “dine.” Our mission is to professionally and efficiently operate a clean, upscale, restaurant that consistently offers great food and beverage at a reasonable cost. We invite you to visit Red Rocks Café for a great experience. Offered on Sunday From 10:30 A.M. Until 2:30 P.M. 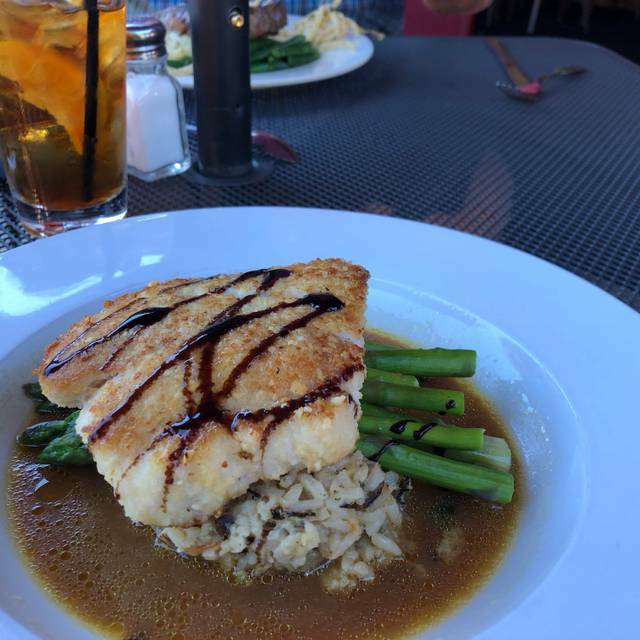 I had the almond crusted grouper and it was outstanding! Hello - Thank you for the wonderful review!! Easter brunch and it was really good and a very good value for the menu. Went with husband for Easter Brunch. Didn’t see anything telling us pre fixed menu at $34 per person. Didn’t wait too long but eggs Benedict was cold, muffin and ham were tough. Deviled eggs appetizer very good which we had boxed up to go along with dessert. We walked off & forgot them went back to get them few mins later and they had already been trashed. We were given new desserts but passed on eggs. Bill was around $85 - $90 for worst meal I’ve ever had there. Basic classic food, but cooked really well. Hello - Thanks for the stellar review!!! We have been to Red Rocks many times but not since their renovations. Not sure what else has changed, the management? The menu has some small changes but the food was the biggest change. Nowhere near as good as before. Very disappointing, I don't think we will be going back. We usually love this restaurant. However, the night we went they got my nephew's order wrong, my sister-in-law's steak was cold, and they got the bills wrong. It was the night before Easter and I wonder if they were understaffed in preparation for the full day on Sunday. This is no excuse when the patron pays a lot of money for good service. Wonderful waitress. Presentation of food. Hi Laughlins - Than you for your kind words and awesome review! We look forward to serving you again soon!! Hi - Thank you for the wonderful review! So nice to sit on the cover porch. Always a great place to eat! Hi - Thank you for the stellar review!! We cant wait to serve you again soon!! Quality of food and service are always on point. Hi KathiS - Thank you for the wonderful review!! 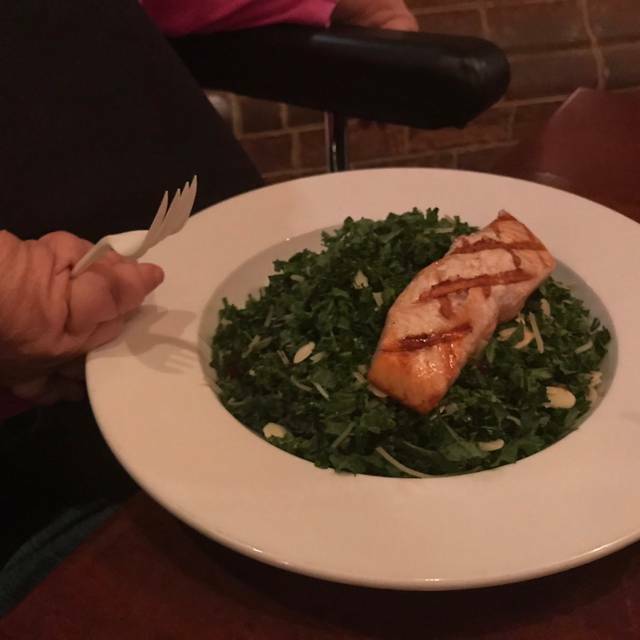 We appreciate you dining with us and cant wait to serve you again soon! Great she crab soup! Love the new decor. It's quiet and cozy. Coconut cake is a fave. Hi Lollipop - Thank you for the stellar review! P.S. 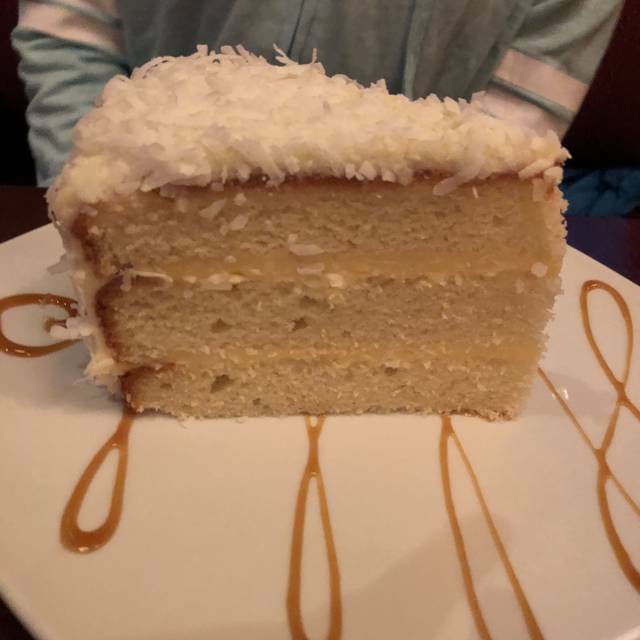 the coconut cake is my favorite too!! Good morning - Thanks for dining with us and for leaving such an awesome review! Great place to celebrate a birthday. Great atmosphere, service and FOOD!! Hi - Thanks for choosing to celebrate here with us at Red Rocks!! We look forward to serving you again soon!!! This is one of the best kept secrets in the Southpark area - neighborhood feel and the atmosphere is great. Menu is amazing. Really like the reference to local people on the menu - I even recognized some old boys from Garringer who made the list. I cut the filet with a fork! Amazing - ran into some old friends - The construction around it was a little inconvenient but not a nuisance. Red Rocks is our go to favorite. Great location, wonderful food and excellent service. We recently celebrated my son’s birthday there, and the wait staff made it extra special. Hi Melissa - Thank you for choosing to celebrate with us here at Red Rocks and for the awesome review! We look forward to serving you again soon!!! Had dinner with friends and our server and the food made it all the more better. Thank you so much for visiting. We really appreciate it. Got very nice quiet corner for our group...probably because less crowded in back room. Thank you so much for your visit. We really appreciate it! Had been redocorated since the last time we were there. Nice setting and good ambiance, a little on the loud side, but it was a Saturday night. Food and service are excellent! Martha - Thank you for coming in and your 5 star review! We look forward to seeing you soon! Why have I lived in Charlotte for 20 years and never tried Red Rocks? Suzanne - Thank you for giving us a try, we are so happy you enjoyed! We look forward to seeing you again soon! We love this restaurant! Always trying different things when we go and always happy with them! Hi Amanda - Thank you for your kind words, we appreciate you all coming in! See you soon! Hello - Thank you for your kind words and great review! The chopped salads is one of our favorites too! As always, we enjoy the ambiance, food and service. Was for my wife's birthday so a special place to our family. Some of the people at our table thought that it was a little cold. I think we were seated under a vent. Edie - We apologize about the draft, thank you for letting us and know and coming in! We appreciate you and look forward to seeing you again soon! Tried Red Rocks for the first time for husbands birthday. We were very pleasantly surprised by the food quality, the service, the extensive menu, etc. Everyone's food was great, and Olivia our Server was great as well! We'll be back! Hello! Thank you for your kind words and awesome review! We appreciate your business and look forward to seeing you again soon! We enjoyed our experience as always. Great food and quiet atmosphere. Hi Cam - Thank you for your continued support and business! We appreciate your review and look forward to seeing you soon! Everything was fine after we got the attention of a server. My daughter is in the food service industry and after 15 min. she got up and asked if we were going to have a server. No water. Nothing. However, after that, everything went very smoothly and the food was delicious. Susie - Our apologies for that happening, we can assure you that will not happen again! We appreciate you taking the time to let us and know and your great review. We hope to see you again soon! Always excellant food and service. Great friendly staff. 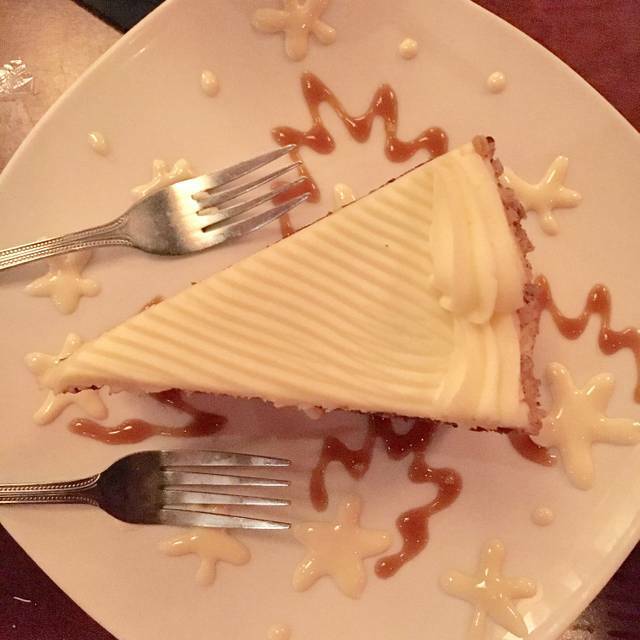 Always our go-to for birthdays, special events or just a relaxing meal!!! Hi Chirodoc - Thank you for your continued business and kind words! We appreciate you and look forward to seeing you again soon! Very nicely updated and attractive restaurant. Excellent food and service. Hi Rick - Thank you for taking the time to send us 5 stars! We appreciate your business and look forward to seeing you again soon! Perfect for girls night out. Renovations nicely done. Food always enjoyable. Noise level tolerable. Server rude and had bad attitude. First time this happened at RR. Been going there for 24 years. Disappointing experience and surprising lack of appropriate manager response. Hi Doug - Thank you for your business and taking the time to review us, we appreciate you! Always delicious, consistent & very good service! Hi Ting - Thank you for your kind words and great review! A family group of 10 - celebrating two birthdays - on a busy Friday night. Rene’ was our server and she did a great job. Everyone loved their food. Hi Scottie - Thanks for choosing to celebrate here at Red Rocks ! We appreciate your kind words and great review!! Great food... surprising given the setting which is more that of a bar/pub than a romantic, or upscale restaurant. The decor, the staff, the noise level, is reminiscent of a sport bar/pub. However the food is clearly a step above and could easily be compared to business or more upscale restaurants. Would recommend for several people birthday parties as well... but not for a romantic or kind-of-fancy diner to celebrate an anniversary or birthday (unless you are young-at-heart and like the bar-like decor). Will go back for the food! Hi MatthieuR - Thank you for taking the time to check us out and send us a review! We appreciate your business and look forward to seeing you again soon! Red Rocks is a predictably excellent place for lunch or casual dinner. Hi ProvPlantationer - Thank you for your kind words and great review! As Always, everything was perfect. With all of the places to choose from in Charlotte, Red Rocks is my favorite! Hi Yanksjn9 - Thank you for continuing to come and your wonderful review! We truly appreciate it, see you soon!! Great food with fantastic service! Trendy decor and extremely clean!! Hi Danielle - Thank you for you wonderful review! We appreciate your business! Wonderful food, service and atmosphere! My parents go there often too. Hi Deborah - Thank you for coming in and leaving us a wonderful review! I have been to Red Rocks a number of times and have never been disappointed with the food or the service. It continues to be one of our favorites! Hi Larry - Thank you for your kind review!!! Food is mediocre at best, most of it is under seasoned and has very little flavor, the drinks are watery and over priced, the overall price to value is very poor. I would not recommend it unless to go there and for an overpriced pub experience, don't try to get too fancy and keep the cost down.